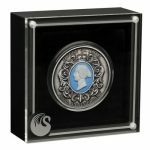 This 2oz antiqued high relief coin features a special reverse design celebrating Queen Victoria’s love of cameo accessories. 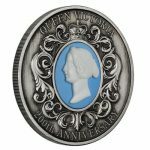 As well as boosting the popularity of the portrait ornaments crafted from sea shells during her reign, Queen Victoria is credited with playing a pivotal role in Britain’s progress during a time of rapid technological and social change. Born Alexandrina Victoria on 24 May, 1819, at Kensington Palace, London, she ascended the throne in 1837 at age 18. Known for supporting the development of trade, industry and technology, Queen Victoria was active until her death on 22 January 1901, after reigning for almost 64 years. 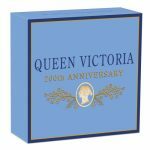 In that time, Britain’s Empire had expanded to cover about one fifth of the Earth’s surface, making Queen Victoria empress to almost a quarter of the world’s population. 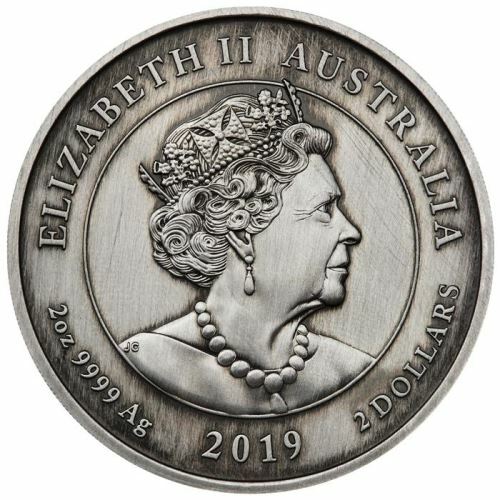 The coin includes a cameo inset depicting Leonard Charles Wyon’s effigy of Queen Victoria with wreaths of banksia in her hair. This effigy appeared on the Sydney Type II Sovereign from 1857 until 1870. A filigree design borders the Queen’s portrait, with a depiction of the royal St Edward’s Crown at the top. 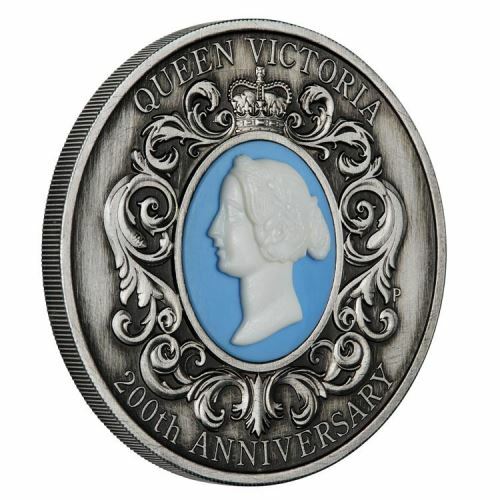 The inscription ‘QUEEN VICTORIA 200th ANNIVERSARY’ and The Perth Mint’s ‘P’ mintmark are also featured in the design. 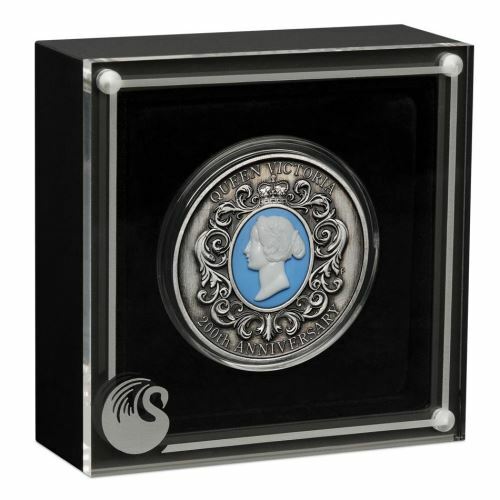 The coin features an appreciably raised relief for outstanding clarity, requiring an extra thick blank and deeply engraved dies to produce an exceptionally detailed high-relief design. 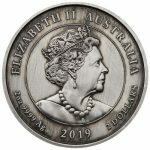 In keeping with its historical theme, the coin has been ‘antiqued’ by hand to give it a unique finish conveying the surface abrasions of an aged artefact. As a result of this treatment, the appearance of each coin in the limited mintage may vary.